Written by the leading figures in the industry from NASA, ESA, JAXA, (et cetera), with frontline experience from projects ranging from the Apollo missions, Skylab, the Space Shuttle, small and large satellite systems, and the International Space Station. Until October 2012 Tommaso Sgobba has been responsible for flight safety at the European Space Agency (ESA), including human-rated systems, spacecraft re-entries, space debris, use of nuclear power sources, and planetary protection. He joined the European Space Agency in 1989, after 13 years in the aeronautical industry. Initially he supported the developments of the Ariane 5 launcher, several earth observation and meteorological satellites, and the early phase of the Hermes spaceplane. Later he became product assurance and safety manager for all European manned missions on Shuttle, MIR station, and for the European research facilities for the International Space Station. He chaired for 10 years the ESA ISS Payload Safety Review Panel, He was also instrumental in setting up the ESA Re-entry Safety Review Panel. Tommaso Sgobba holds an M.S. in Aeronautical Engineering from the Polytechnic of Turin (Italy), where he was also professor of space system safety (1999-2001). 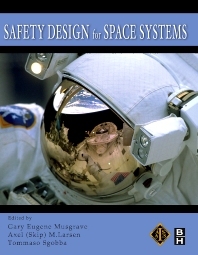 He has published several articles and papers on space safety, and co-edited the text book “Safety Design for Space Systems”, published in 2009 by Elsevier, that was also published later in Chinese. He co-edited the book entitled “The Need for an Integrated Regulatory Regime for Aviation and Space”, published by Springer in 2011. He is member of the editorial board of the Space Safety Magazine. Tommaso Sgobba received the NASA recognition for outstanding contribution to the International Space Station in 2004, and the prestigious NASA Space Flight Awareness (SFA) Award in 2007.